Imperial Elegance at The Russian Tea Room New York City. 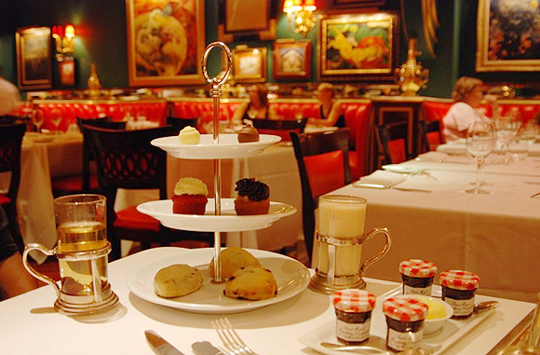 Going for high tea at The Russian Tea Room is an experience like no other. 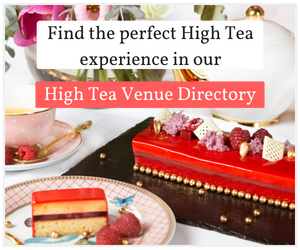 Located just two blocks south of Central Park in New York, the venue provides an ornate and regal take on high tea – combining elements of imperial Russia with modern America. Founded in 1927 by members of the Russian Imperial Ballet, the venue reopened in the 1980s and has enjoyed steady patronage by tourists and locals ever since. As you walk through the heavy antique revolving doors, you’re greeted by low lighting along with emerald green and rich reds hues of the plush furnishings. The spacious and comfortable surrounds – in particular the booth-style seating arrangements create an intimate atmosphere. If you get a strange sense of déjà vu it’s because the venue has been featured in such movies as Tootsie and Manhattan, and was really visited by the cast of hit-teen TV show Gossip Girl. When we visited, we enjoyed the standard ‘High Tea’. This included sandwiches crafted to a variety of tastes. Curried chicken with raisins and pecans, smoked Scottish salmon with chive cream cheese and cucumber as well as roquefort bleu cheese and pear with walnut were some favourites. We also enjoyed a tasting of two American caviars on blinis. For an additional fee, the special ‘Royal High Tea’ package includes a broader selection of caviars including Siberian Osetra, Russian Osetra, Hackleback and Paddlefish. Up next was an assortment of seasonal scones, cupcakes and petits fours. Butter and Bonne Mama Raspberry preserves was served with the scones. Executive chef of three and a half years, Marc Taxiera said the menu was Russian inspired with American continental influences. Max continued: “The imperial cooking of Russia is a menagerie of other cuisines”. 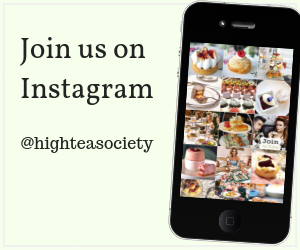 It’s all about taking the high tea classics and reinventing them in accordance with the venue’s roots. The relatively-small loose tea selection included English Breakfast, Darjeeling, Chamomile, Mint Verbena and Rooibos Chai. We chose the Darjeeling and Mint Verbena. 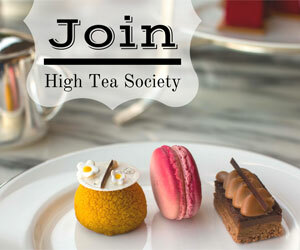 If desired, you can also opt to get the high teas accompanied with Champagne for around USD$25 – $30 extra. The choice includes Pierre Jouet, Grand Brut or Moet & Chandon Rose. There’s also the Children’s tea party menu, which includes whipped cream and decaffeinated tea selections. Meals can be catered for vegetarians and gluten-free. When you’re finished eating, enquire about a sneak peek at the other levels. 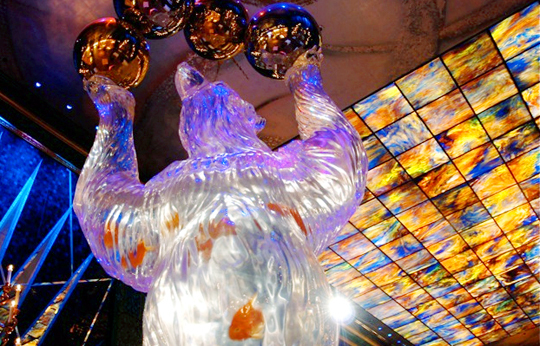 Usually reserved for special occasions and private affairs, the magnificent Bear Ballroom features an aquarium inside of a 15-foot bear well worth the look. 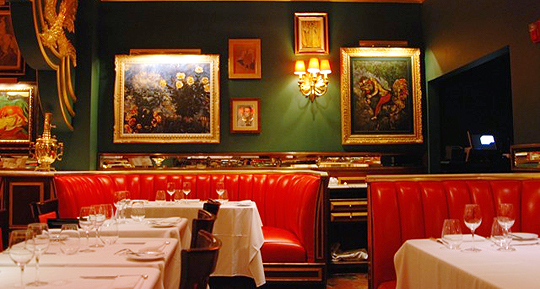 We recommend a trip to The Russian Tea Room when you’re next in New York.